A sleek platform for your favorite optics. 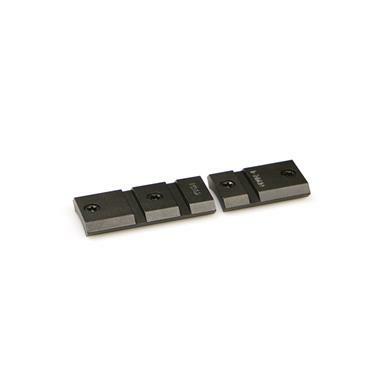 Install a new optic and maintain a low profile on Savage Accu-Trigger, Ruger American Centerfire, TC Venture, Remington 783, Axis/Axis II/Edge model rifles by using a Warne Maxima M902/902M 2 Piece Base. The solid steel construction provides stability and durability with a full-width and depth recoil slot to ensure that your rifle has a sleek, strong and versatile mounting system. Uses Torx T-15 screws and secures in place using just 25 inch pounds of torque. Quickly add another 1/2" to your line of sight.